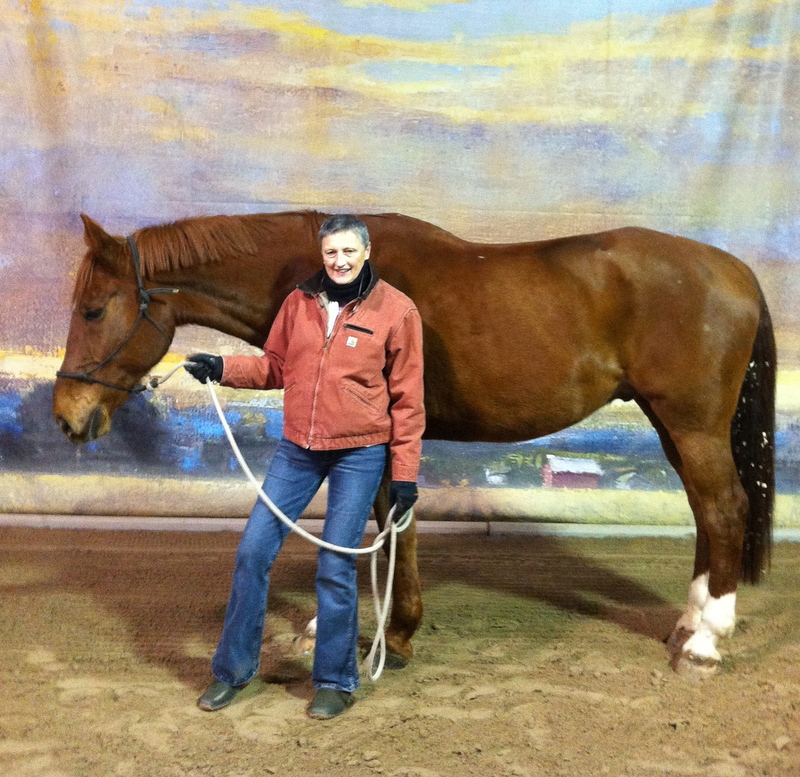 New Horses and New Clients – Here’s to a great New Year! Karen and her lovely new horse – sweet, big and fun to ride! Where to begin …several months ago, after a few lessons, you asked me if ” a horse was in my future?” to which I replied ‘in a year or two” – well here we are – hooked! ( Hook, line and sinker!) – I have learned so much in the short time that I have known you – I have learned how to walk a horse and how not to walk a horse – how to get on a horse and not get on a horse – how to pick sawdust from the tail – or more appropriately ‘how not to’ and SO MUCH MORE! I am very grateful. I appreciate your style of teaching and admire your profound knowledge of the sport. I can’t begin to thank you for making the purchase of Matisse happen – you truly went ABOVE AND BEYOND! We are so excited to learn from you and your terrific staff at Brek-n-Ridge Farm. Thank you for allowing us to become a part of your barn – we feel very honored! Thanks Karen – It was a pleasure – check out the video below – HE’S RELATED TO LOUISVILLE ! !